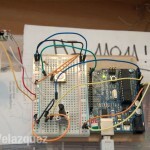 Serial Duplex Lab – IPC « Ezra^3 – let's make things happen. 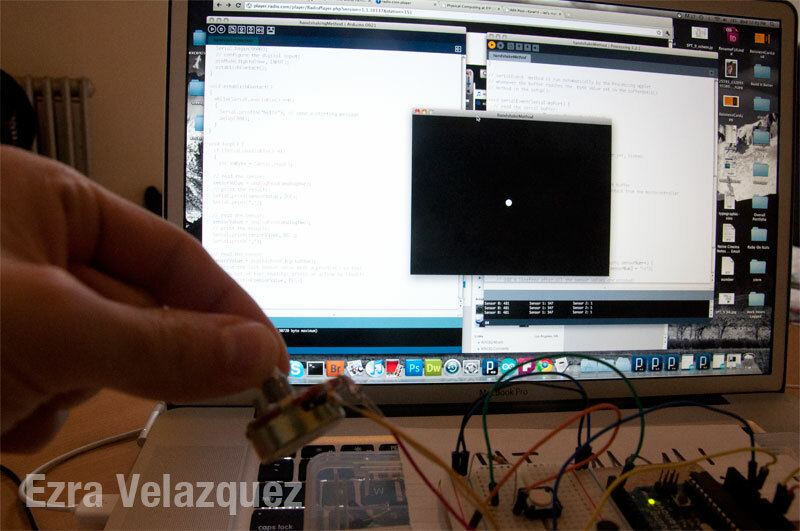 In this lab, two potentiometers and a pushbutton communicate to a Processing sketch via USB cable. For both methods, the data being sent in ‘packets’, using the return carriage to mark the end of a packet and commas as dilimiters. 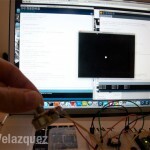 In the punctuation method, data is constantly being fed from Arduino to Processing. 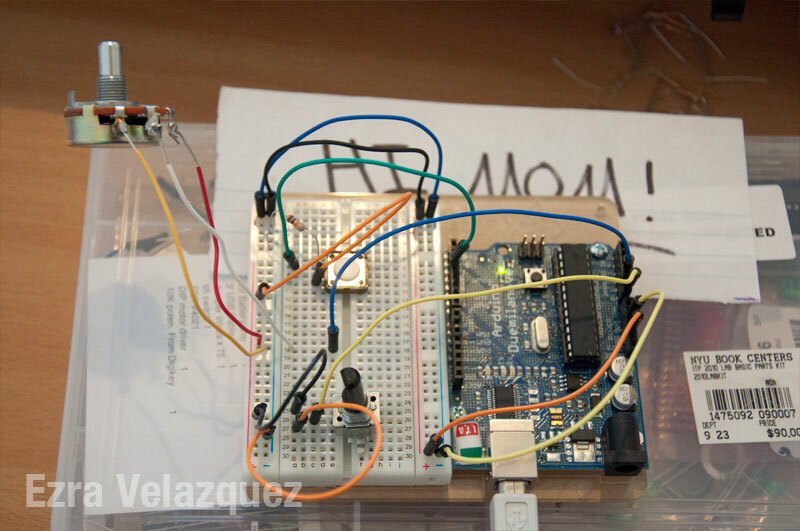 In the handhshake method, data is only sent from Arduino to Processing when Processing asks for the data. Personally, I prefer using the handshake method. The idea of data being constantly sent, when it might not be required, seems a waste of resources. There is also a chance that the incoming data could show down the device receiving the data.